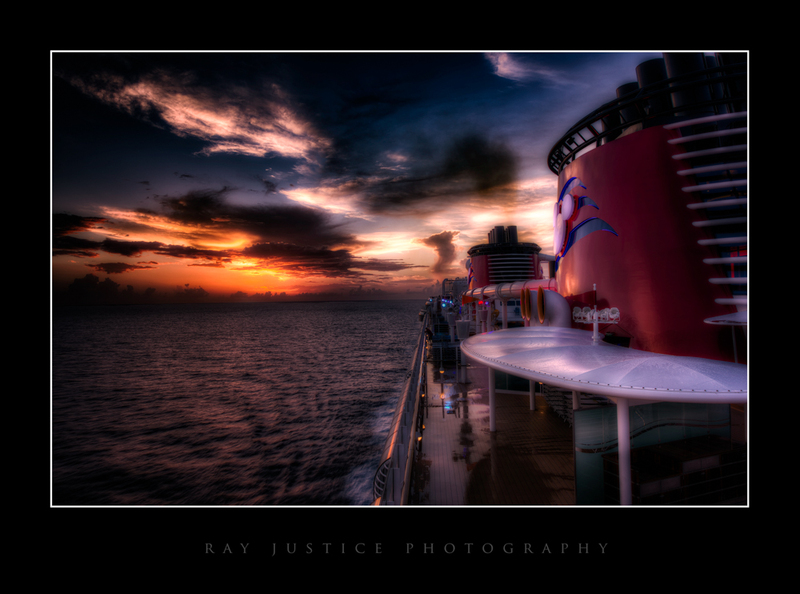 Sunrise on the Disney Fantasy. I never missed a sunrise the entire 10 days we were on vacation, even though some bedtimes extended beyond 1:00 am. The time changed once we sailed into the gulf and the earliest sunrise occurred approximately at 6:10 am. The personal navigator we received each evening in our room stated the sunrise and sunset for the following day, so no guessing, I set my alarm for 30 minutes before sunrise and was on the deck within 5 minutes of awakening. I wanted a different perspective each morning so I would choose a different location, once I spotted which location the sun was rising. Thanks for viewing and I hope you enjoy.